Flip a Coin. If Heads, This Move Does Twice as Much Damage. If Tails, This Move Does The Same. This Move Will Scratch The Defending Pokemon. Comments : I Made This Pokemon Because I Love Cats, Kittens, and Newborns! 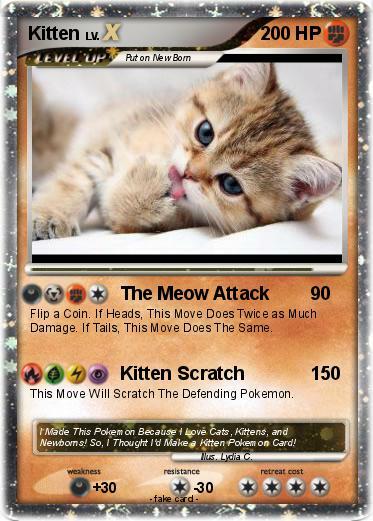 So, I Thought I'd Make a Kitten Pokemon Card!